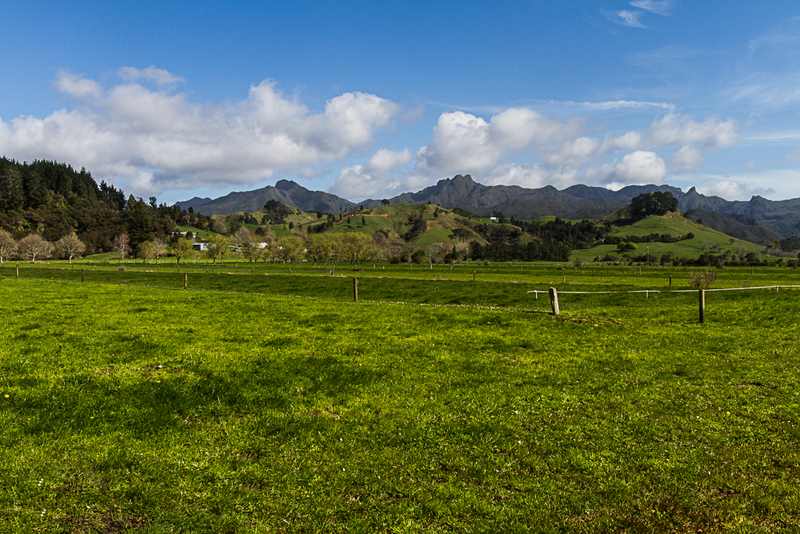 This is the third and last installment of my Coromandel Travelogue. Feel free to check out Part 1 and Part 2 if you haven’t already. Please leave comments if you enjoy this so I know whether to show similar travelogues in the future! The next morning I got up before dawn, hoping for a glorious sunrise. 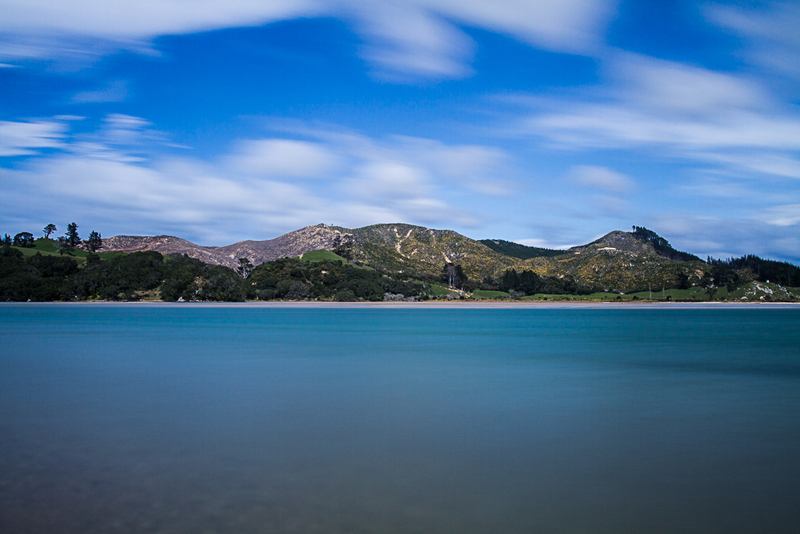 I didn’t get it, which made me so much happier about not having slogged it to Cathedral Cove for dawn. 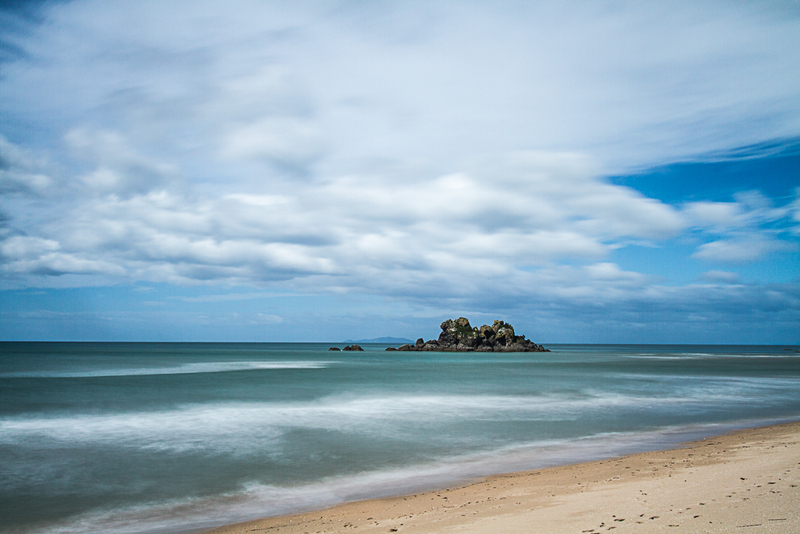 Thankfully, the clouds were very textured, rolling in as they were from the Pacific, so I still captured a couple of interesting shots from Hahei Beach. 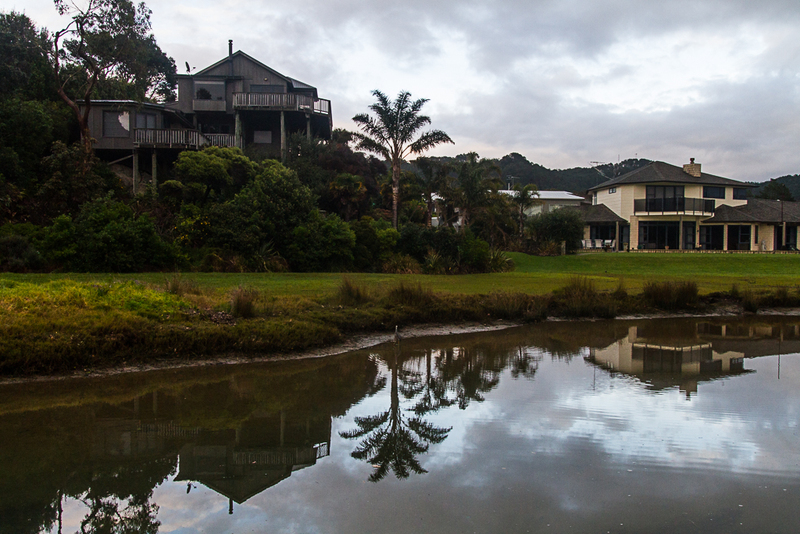 Since the sky was mostly unchanging and the dawn colors I was hoping for weren’t coming, I decided to walk down Hahei beach and walk back up through Hahei, just to see what the town looked like. I was way too early for breakfast anyway… While I was walking down I stumbled upon those three big trees on the side of the beach which made a pretty cool scene. Having been to the south-eastern tip of the beach, just before Te Pare, I veered inland and walked along the rivulet there. I stumbled upon this quite fantastic wooden house, which I just had to capture. After coming back to The Church and taking a shower, I headed for the Hahei Beach Café for breakfast, but they weren’t open. 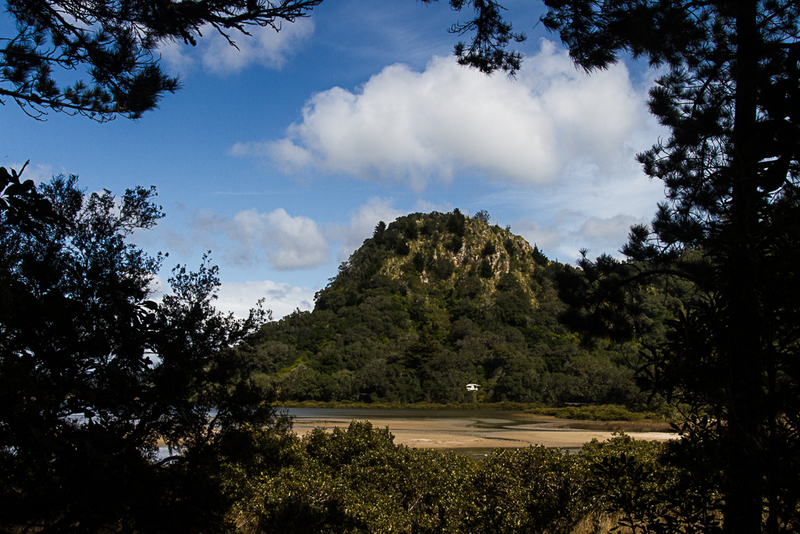 I wasn’t willing to wait knowing that I had to be back in Auckland that evening, so I drove to Tairua for breakfast. 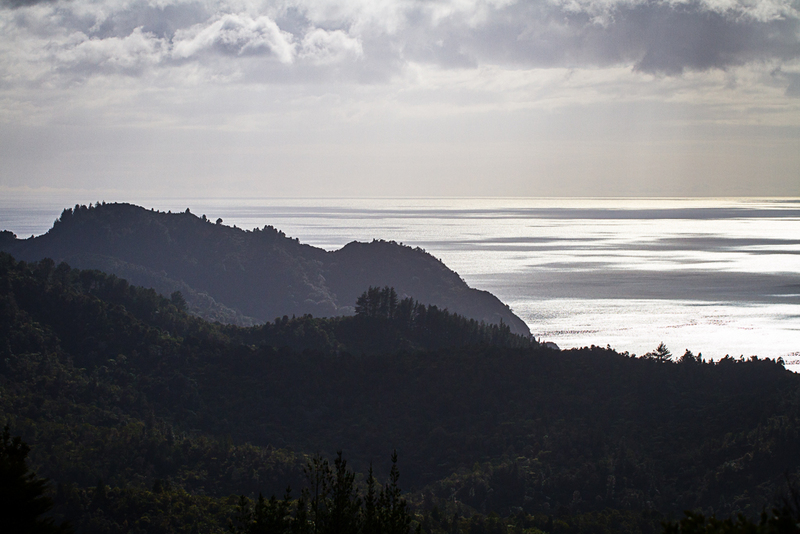 I stopped at least ten times on the way though: the view over the sea from the road was just stunning. A little further down the road, I started distinguising some islands on the horizon, which I’m assuming are the Aldermen Islands. The contrast with the early morning sunlight was such that I had to attempt multiple exposures. 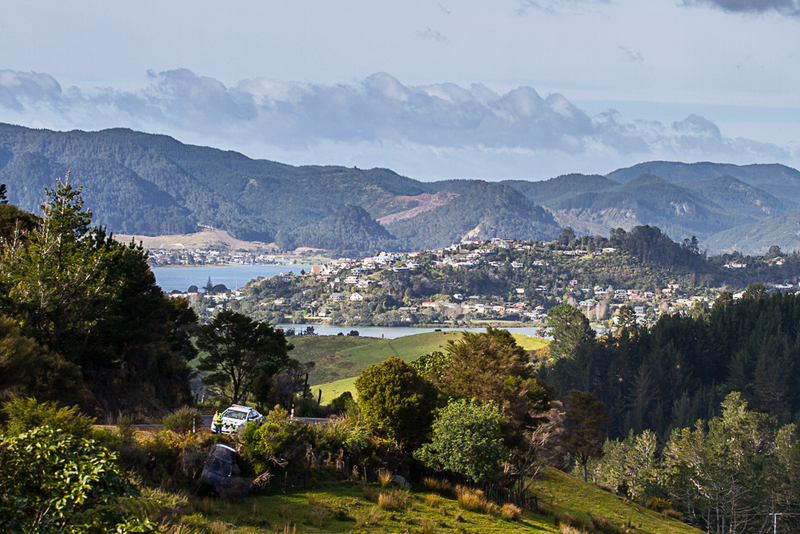 As I was driving down towards Tairua, I had to stop again as the view over the town unfolded. Only once I’d set myself up to take the photo I wanted did I notice the crashed car on the next slope of the road and the cop inspecting it. I stopped for a gargantuan breakfast at the Out of the Blue Cafe in Tairua, and drove on, but just outside Tairua, I had to stop again. The green rolling hills and volcanoes were calling me in. I did a series of shots, the first I felt that truly captured the vivid colors I’d been seeing for the last day and a half. 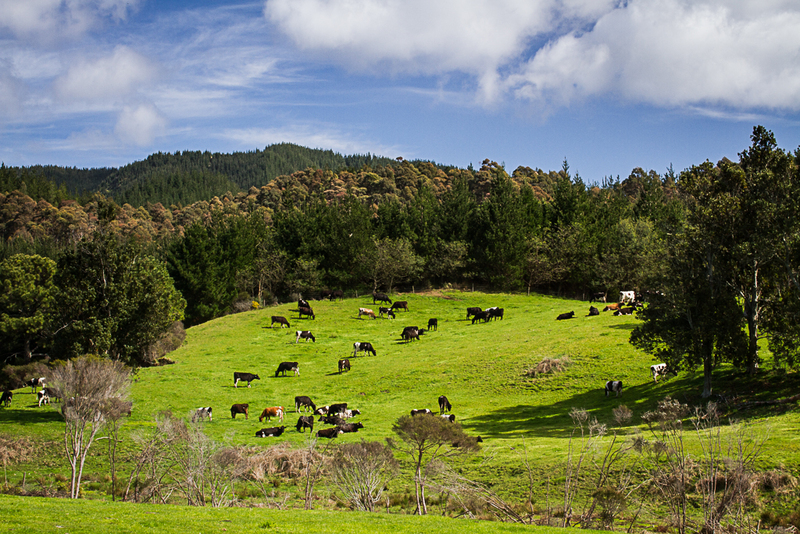 I had decided that I wanted to check out Opoutere, which the Lonely Planet described as a treasure trove that even Kiwis didn’t know about. The GPS got me there, but the last portion of the road was gravel, and I missed the junction to Opoutere beach. The gravel road took me further inland, but the scenery was so nice that I kept going even though I knew I was clearly not heading in the right direction. At one point, I started wondering if I’d suddenly been transported to Switzerland! 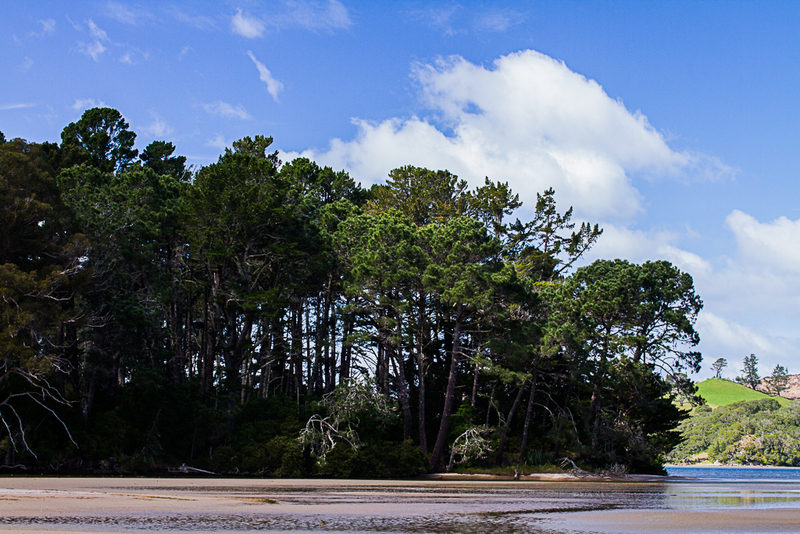 I then tracked back and finally found the parking to Opoutere Beach. I immediately knew I had made the right call in coming there. I walked onto the path, again straddled with tripod, camera and tele-lens. I had the choice between a high tide path and a low tide path and didn’t quite understand what the difference would be. I suspected it was low-ish tide but I didn’t know for sure. 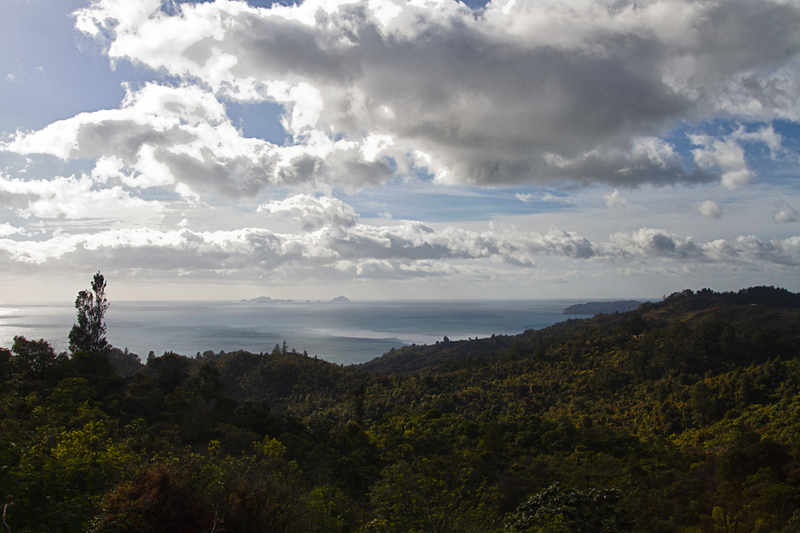 The path took me through the woods, from which I could occasionally see the Wharekawa Harbour coastline. 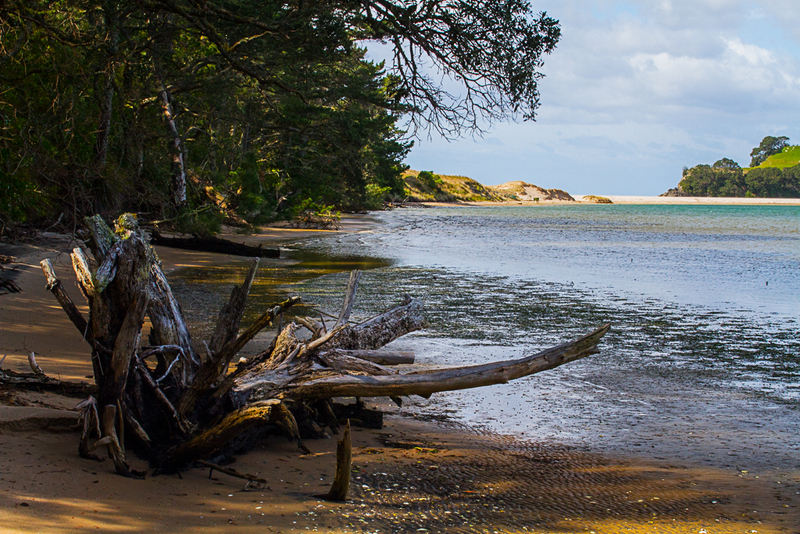 At one point, I missed the path going further up in the woods and ended on the beach that lines the harbour. That’s when I understood that the harbour was closed by a sand bank at low-tide. 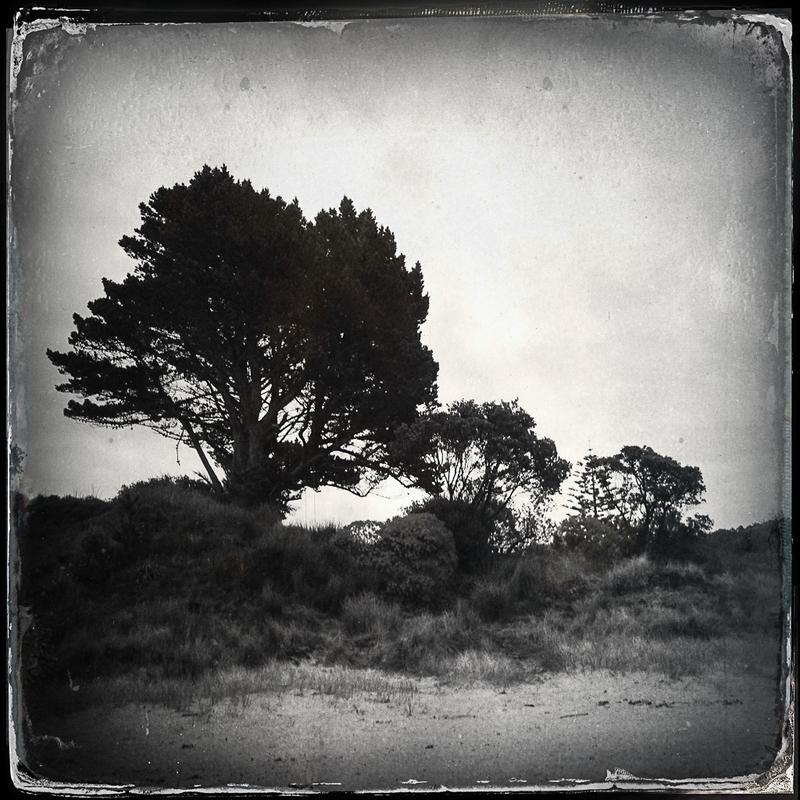 I had to walk up the beach amongst dead trees, but it was worth it. I finally made it accross the sand bank and on the pacific side to be greeted with a simply gorgeous beach. 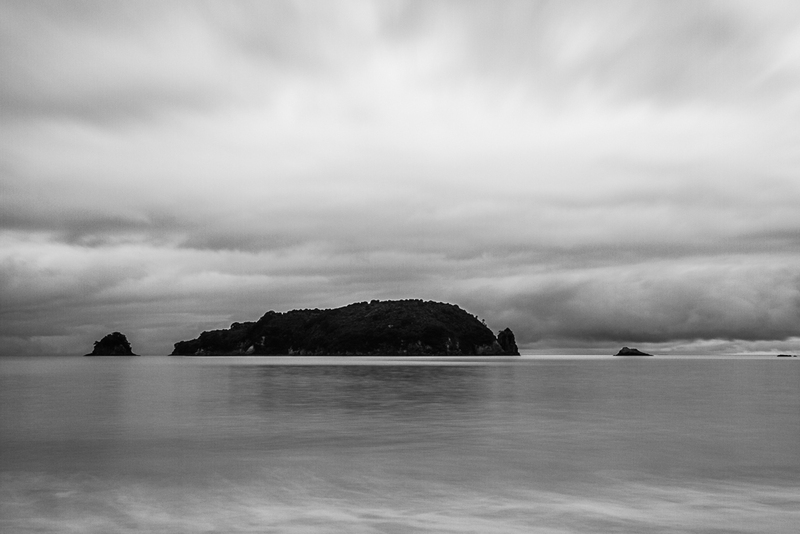 Since I had the tripod and all set up, I started by taking a long-exposure photo of Hikunui Island. Again the colors don’t look super-natural due to the stacked ND filters, but let’s pretend this is a travel agency brochure! By that point, I was feeling pretty exhausted from my weekend and didn’t feel like exploring for more photo opportunities. I put the equipment down, took my shoes off and just went to walk in the water. Very relaxing! I also tried a panoramic view of the beach, which doesn’t really work, I think, due to the wide-angle approach, but it’s an interesting take on the location. 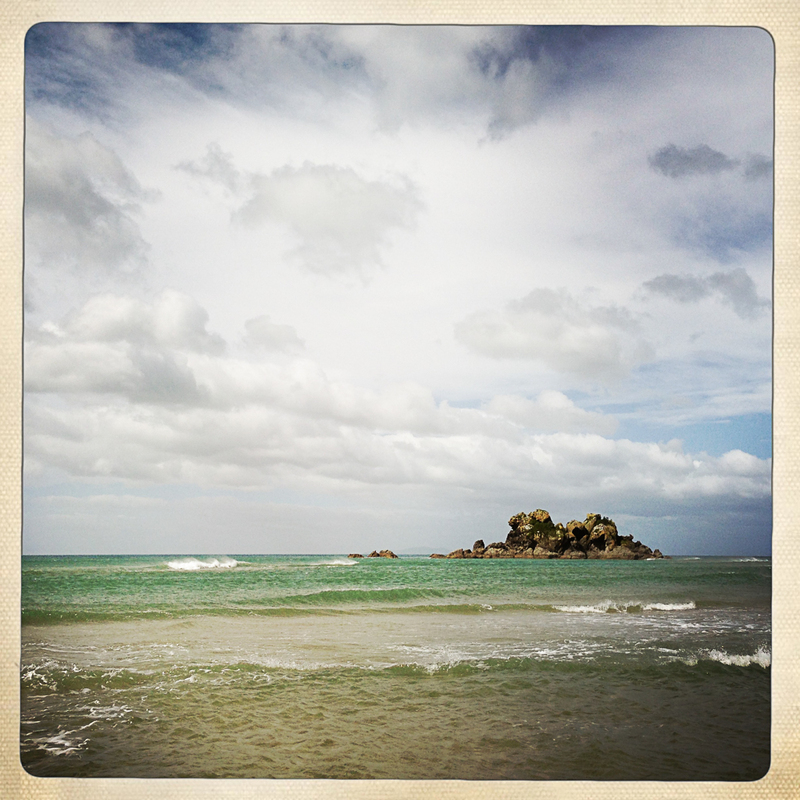 I rested on the beach a little and then headed back to the car. 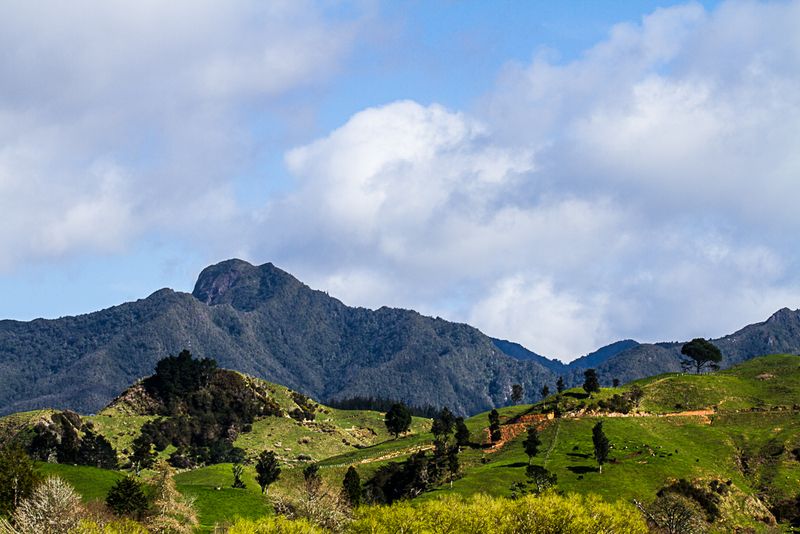 I drove to Whangamata for lunch, and then directly back to Auckland. 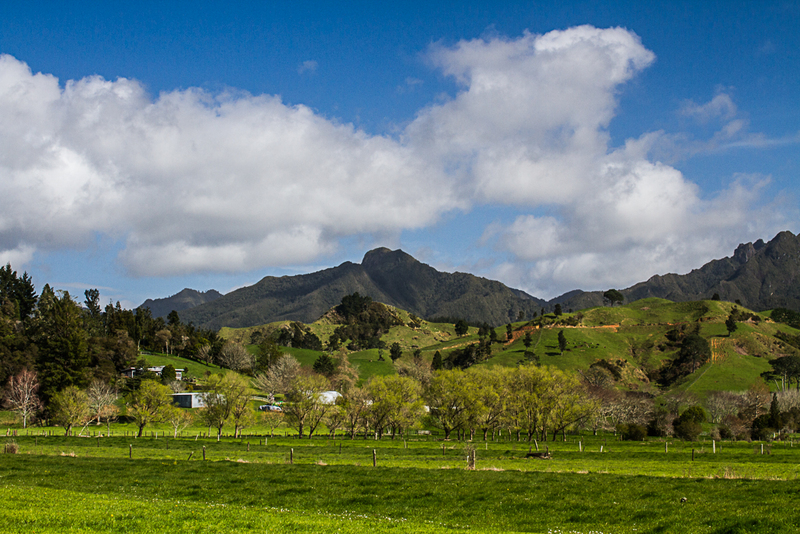 It was a brief discovery of the Coromandel, but I loved it and definitely want to go back there! Hope you enjoyed the travelogues. Let me know, as I’m experimenting with the format, so comments welcome to know if I should do more or not.